Castle would soon change its name to North St. Paul, but that little saloon is still called Neumann's. We've been open ever since. Bill Neumann founded Neumann's in 1887 to serve Hamm's beer to the the small but rapidly growing community of North St. Paul. 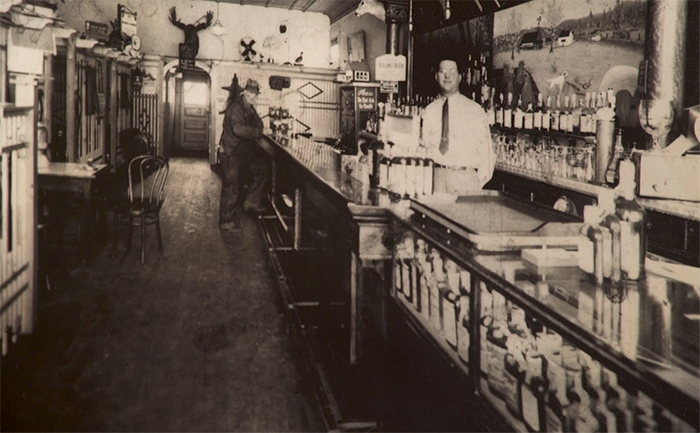 In fact, it was Hamm's Brewery that put Bill into business, providing him with the exquisite back bar that still serves as the centerpiece of Minnesota's oldest saloon. When the Eighteenth Amendment banned the consumption of alcohol, Neumann's found itself in a quandary. Fortunately, Neumann's quickly solved that problem. In 1920, Neumann's began to sell near beer in the main bar, bait to local fisherman out of the basement, and with an attitude of "let the do-gooders be damned," Neumann's opened a speakeasy upstairs. As you enter Neumann's today, the staircase that leads to the speakeasy is behind the door directly to your left. If you get the chance, head up the stairs and check out the keyhole window that ensured only "welcomed" guests could enter the speakeasy. While you're up there, check out the phone on the wall. This phone connected to another installed behind the main bar downstairs. This systems allowed the bartender in the main bar to readily alert revelers upstairs anytime Elliot Ness and his Band of Untouchables came sniffing around. In about 1930 or so, to the best of anyone's memory, Jim Neumann added what would become Neumann's signature trademark to the saloon - the frogs. With a small pond built into the front window vestibule, Neumann's frogs fascinated visitors young and old. Children soon began to accompanying their fathers in on Saturdays, bringing with them a few tasty worms to feed to the frogs. It's a tradition that still holds, all these years later. If you're lucky enough to be here at feeding time, it's a happy sight you won't soon forget. Today, Neumann's carries forward its tradition of welcoming the hardworking and the hungry and thirsty. 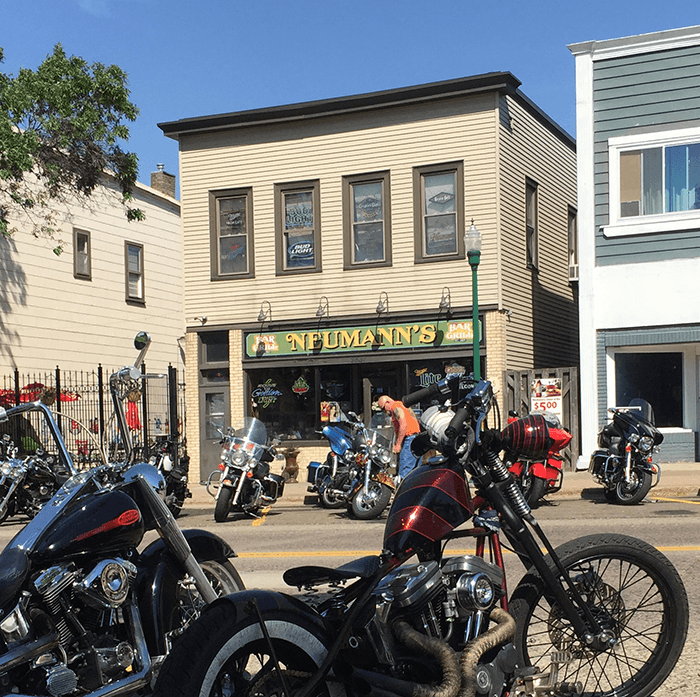 From bikers to bankers, ball teams to bridal parties, people from all walks of life come to Neumann's to kick back and relax in a one-of-a-kind charming and historic atmosphere. 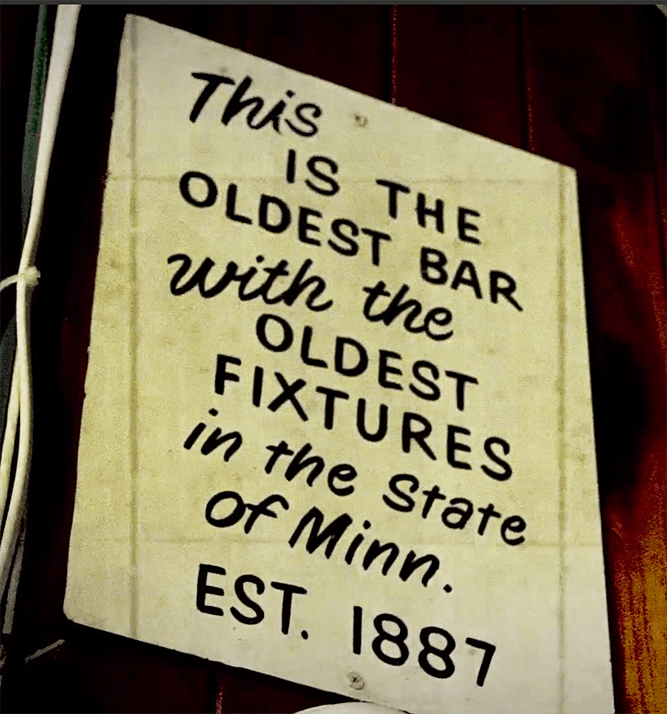 And while Neumann's may be the oldest bar in the state of Minnesota, it's more than a bar. Neumann's is a friendly community where everyone is welcome. We're loyal to our roots and we still serve Hamm's icy and fresh from the tap. So please stop in, enjoy yourself and be part of Neumann's history. Just like folks have been doing for over 130 years! COPYRIGHT © 1887 - 2019. NEUMANN'S BAR. ALL RIGHTS RESERVED.